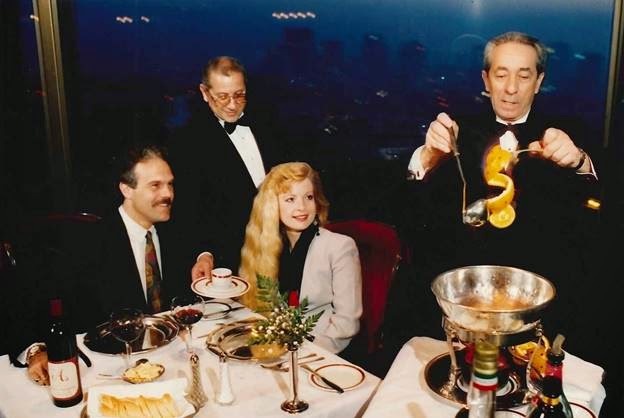 For 50 years Mister A’s, the iconic penthouse restaurant in Bankers Hill now owned by restaurateur Bertrand Hug, has been a landmark of fine dining for San Diegans and visitors alike. To celebrate a half century of success, Mister A’s has unveiled a new logo, featuring the classic styling and red hue of its famous sign, and website and will host a series of celebrations throughout the year. 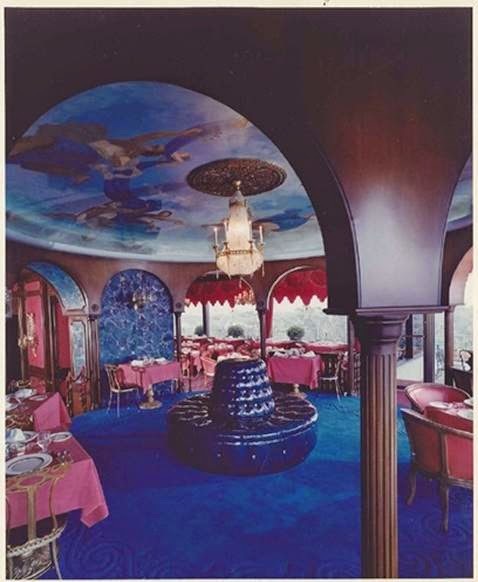 John Alessio first conceived of the high rise and the penthouse restaurant in 1960. After years of planning, the construction of the building began in 1963 and Mister A’s officially opened its doors on June 1, 1965. On July 7, 1965, California Governor, Edmund G. Brown, christened the building. In 1999, Bertrand, who had earned international acclaim at Mille Fleurs in Rancho Santa Fe, purchased Mister A’s after Mr. Alessio’s passing. After a four-month renovation, Mister A’s was remodeled and reopened on June 1 of that year. Since the beginning, Mister A’s has earned national acclaim for its exemplary food, service, wine and cocktails, and its spectacular view of the San Diego skyline and beyond. The first celebration starts in February with a month-long tribute to the restaurant’s first decade in business, the 1960s. Chef de Cuisine, Stephane Voitzwinkler will recreate classic dishes from Mister A’s original menu in 1965, such as Dover Sole, Steak Diane and Bananas Foster. Each consecutive month, the anniversary menu selections will take diners on a journey back to a different decade in the restaurant’s history with dishes and cocktails of the day such as Lobster Diablo, Beef Wellington, Caesar Salad for Two and Baked Alaska.Throughout the month of June, the restaurant will offer a $65 prix fixe menu with wine pairings as well as other specials. Food and drink trends may come and go, but classic libations are never out of style. Mister A’s plans to make happy hour even happier with tried-and-true standards during the return of a classic Cocktail Hour. Timeless cocktails and retro starters will be a fun and satisfying alternative to Mister A’s current happy hour offerings, starting with the roll-out of a bottled-cocktail program and a celebratory champagne cocktail. And on June 1, the original opening date, Mister A’s will host a black-tie fundraiser benefiting the Old Globe in nearby Balboa Park which is celebrating its centennial this year. Details about the invitation-only event will be announced in the coming weeks. Mister A’s is located at 2550 Fifth Avenue in San Diego’s Bankers Hill neighborhood. For more information, call (619) 239-1377 or visit bertrandatmisteras.com.